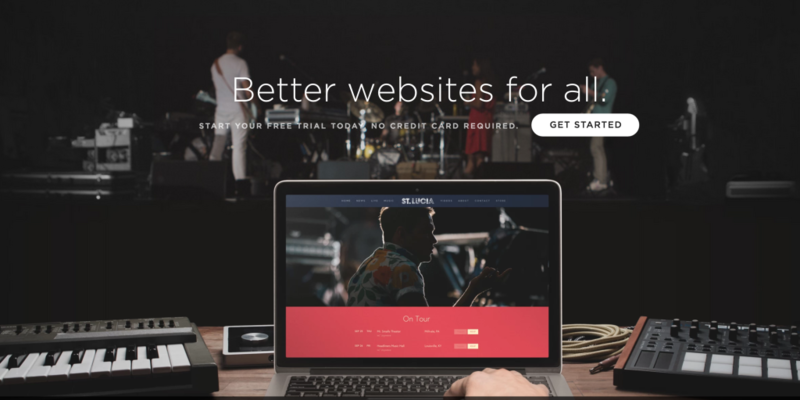 So let’s say you have a client who wants a new microsite and you choose Squarespace to make a quick webpage for an event like a concert or something. Then the client requests that you add a quiz to the site and all of a sudden you are in a scramble to figure out how that might work. 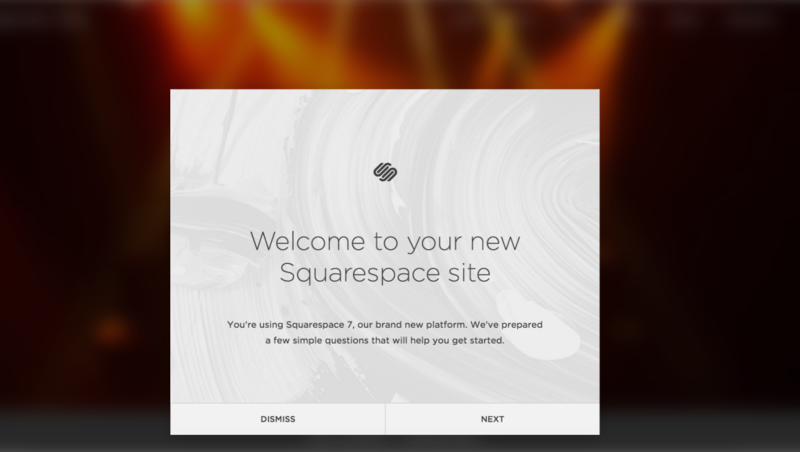 Don’t worry, you are now in the right place, below we’ll go over exactly how to put a quiz on your Squarespace site using Interact (no coding necessary, thankfully). We’ll start with an easy one, lol. But to prove just how easy this process is I’m going to start from scratch for this demo. Squarespace is nice because their free trial doesn’t require a credit card so you can make everything and demo to a client without having to pay up front. I’m going to do an example of a microsite that would work for a concert event. I picked a template that Squarespace had for a site like this. The easiest way to get a quiz into Squarespace is by creating a new page for the quiz on your site. Once that page exists, you simply edit the content on the page and select the “code block” option by clicking on the little raindrop symbol that opens up all the page options. 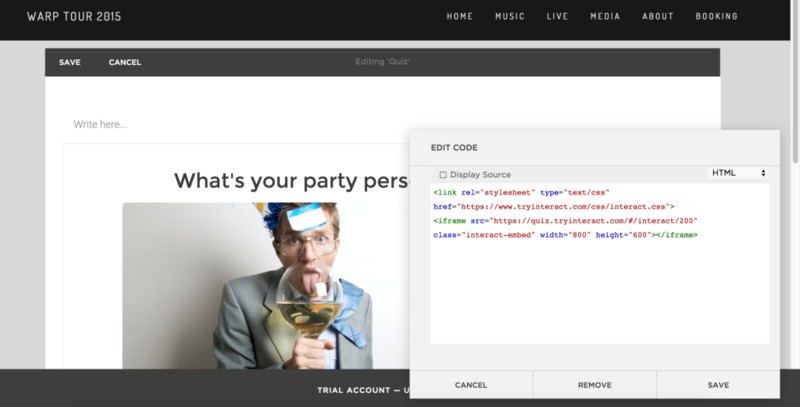 The code block option will let you drop in your embed code directly from Interact without having to do anything funky. So now you need the embed code for your quiz. Obviously you’ll need to make a quiz first, so if you aren’t there yet, go to Interact and make the quiz you want. You can set the size of your quiz from within Interact by typing in the height and width you want, be sure to play with various sizes to find the optimal one for your Squarespace page. That’s literally all you have to do. I set up a new Squarespace account, created the quiz page and embdded this quiz in a total of about ten minutes. You can modify the page more to add other content and what-not so that it looks nice, but the quiz is now on the page.